Dooley Noted Style: Off to Amsterdam! Morning friends! We arrived early this morning in Amsterdam to celebrate my husbands birthday. I am so excited to check into our hotel and get ready to explore this beautiful city with my best friend. Since he is often telling me to live more in the moment and disconnect from "e- world" I am going to be signing off for the rest of this week to soak up this experience with my love. I will be back on Monday hopefully with lots of inspiration to share with you all. I hope you all have a wonderful week and weekend! P.S. 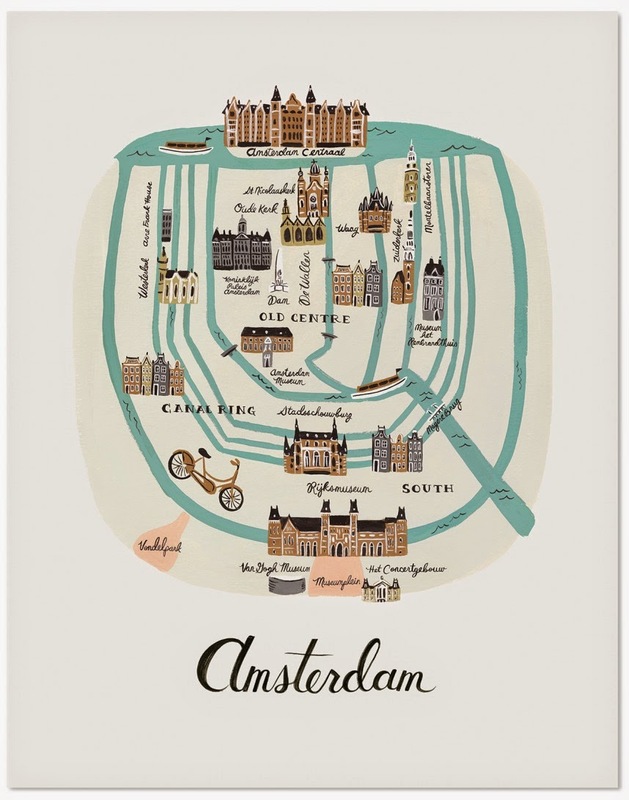 How cute is Rifle Paper's city print below, love everything she does!